What if 2018 was the year where you finally stepped out? What if you could finally start earning an income from cake decorating? What if you won a cake competition? What if you launched that cake business? If you follow Sugar Sugar Cakes on social media or are a regular reader of this blog, you would know that I drop a new blog post here on Mondays. So with the opportunity of releasing a new blog post on the FIRST day of the NEW YEAR, I want to challenge you, that this could be YOUR YEAR. The year that you turn those ‘what ifs’ into a something tangible. I don’t know about you, but I got a stirring in my gut about this year (and it ain’t from all the Christmas trimmings I had last week). I’ve got this unshakeable sense that there are quite possibly big things in store for each & every one of us if only we position ourselves (our goals, our priorities, our learning & our mindset) in the right direction. I’m convinced that it should very well be time to shake off the doubts, the naysayers, the fears and take purposeful steps forwards to turn our secret hope & dreams into our reality. For some of us, the ‘cake dream’ is clear. Perhaps you wake up in the morning wishing you could stay home and bake all day instead of going to work. Or maybe you twiddle you pen at the office dreaming of starting our own cake business. Or perhaps you spend your afternoons watching Youtube videos on cake and wonder if you could ever be one of those chirpy teachers you see on your screen. So here are some bold statements I’d like to discuss on the subject of ‘Discovering & Achieving Your Cake Dream’…. “Wha…? Amanda..?! This is ridiculous …” you say. All the “reasons” built up in our minds about why we can’t have the wins that we see others have are mostly fabricated & untrue. All those people you admire, aspire to be like, hope to emulate… are all in fact, regular normal people. Which could only mean one thing. Lil ol’ me, you, she, him, her… all have a shot at achieving our biggest wildest cake dreams regardless of where we were raised, which country we live in, how much (or little) money our family has, our social standing, our age etc. One thing that I appreciate from Snapchat & Instastories (a new “insider video” form of social media) is the ability to take a sneaky peek into the lives of affluent & notable individuals from all over the globe. Seeing them do their weekly grocery run, buy coffee, get stuck in traffic, go to the doctors and stroke their pets are all wonderful reminders that the “greats” out there are JUST LIKE EVERYBODY ELSE. 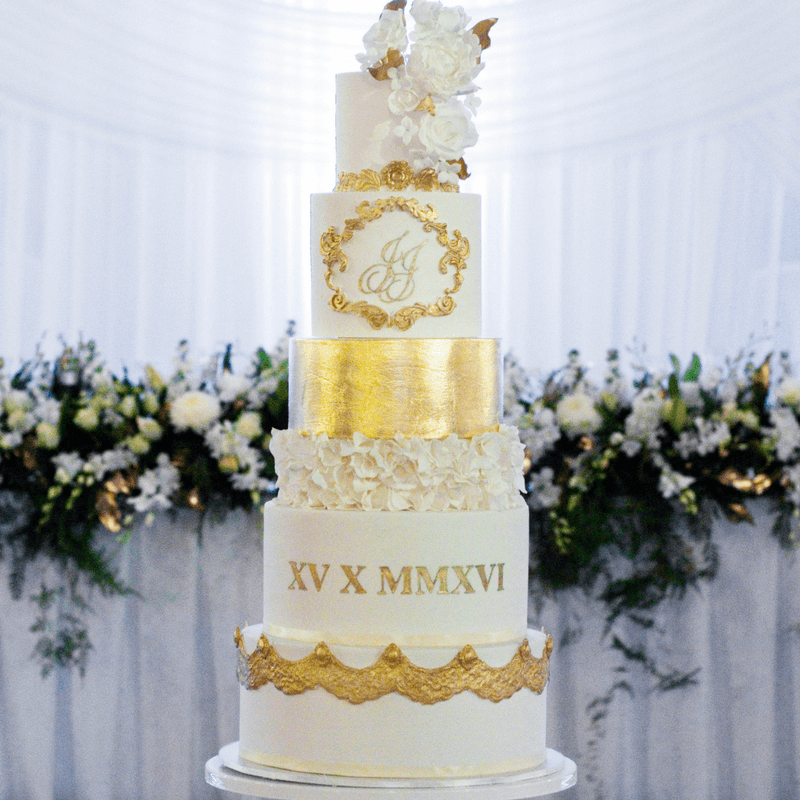 The fact is, ANYONE can achieve their cake dreams and find success in the cake industry. You may ask then “why isn’t EVERYONE successful?” ahha… I’m glad you brought that up. Therein lies some very interesting factors that separate the exceptional from the ordinary, the legendary from the mediocre. And THAT, will be covered in my next upcoming blog post in exactly a fortnight from today. Now let’s get one thing straight. In making this statement, I am NOT endorsing laziness or passivity in working/schooling-up on skill & knowlege. I believe every caker needs to constantly work hard at being the creative BEST that they can be. The point that I’m making here is that you don’t have to wait till you win “so & so” competition or till you are good at “so & so” skill till you venture out and do something BIG with your caking. The key point I’m trying to make here is to JUST START ANYWAYS. If you keep “waiting” till you reach a certain height or accolade, the danger is that you may spend too long (or maybe your whole life) waiting. And that will be so, very sadly unfortunate. I was casually chatting with a friend last week who is currently attending art school and I asked her, “How come I never see you post or show people your artwork… like, ever?” to which she replied “I only want to show my work when I feel they’re professional enough, and until then, I’m not going to display my work”. I get it, the feelings of insecurity & fear-of-judgement when our work is exposed onto a public platform to stand alongside those with 1M followers & a gazillion likes. It’s hard and kinda freaky. But friend, I’d like to offer an encouraging nudge.. Take intentional steps forward this year towards your cake dream. Don’t sit around waiting. Cause here’s another fun fact for ya..
One step at a time. The longer you wait, the longer you’re putting off your own progress & achievement. Something veeeeery interesting that I’ve observed in my own journey & others: Success comes progressively over a long period of time, and not overnight. You know the age old adage “Rome wasn’t built in a day”? Well, it’s true. And the principle applies in the building of cake empires. The growth, the learning, the refining, all happen along the way. We don’t start building our dreams when we’ve got all our ducks lined in a row. We build our dreams when our heart & gut tell us to, and as we take each progressive step forward, each learning curve brings a mini success (which in time, leads us to bigger and then big success). One of my favourite things to do (when I’m “busy” procrastinating on my laptop) is to scroll far faaaaaar back in the online History of some of my fav cake & business personalities (the people I admire who are really slaying it in their field). One very fascinating common vein I observe is that all these people started off pretty average. Don’t believe me? Just look up popular cake personalities and hunt down their earliest video, blog post, Instagram post or whatever. You’ll find that they started from humble beginnings. The cakes probably looked a lil wonky, the video quality sketchy and the cake images amateurish. But they started anyways and look how far they’ve come, how much they’ve learnt and how influential they’ve grown. My friend, if you’d seen some of my earliest cake work, you’ll feel a WHOLE TON better about yourself. I caked some of saddest looking cakes I’ve ever seen (no joke!) in my early decorating days. But I persevered, I studied hard, I invested in my cake education & over time, I’ve finally reached a place where I’m living out my cake dream for reals. I pinch myself daily that I get to bake, create & connect with cake enthusiasts all over the globe for a living and be my own #girlboss. And if I can do it, you can too.. In the coming posts, I’ll be sharing steps on how to make your cake dreams a reality, and also my personal (never before shared) detailed story on how I started my cake business. I’d love to know dear reader, what’s been holding you back from chasing down your cake dreams? Amanda, this is the BEST, thanks for being so inspiring! Reading this made me feel so pumped for the year! 2 things holding me back. Me. And thinking exactly what you said above – that my cakes should be better before I start. very legit reasons 🙂 trust your intuition, you will know when its the right time <3 in the meantime, keep learning & having fun with cake!